(Ace Records) 44 tracks with 20 page booklet. Elvis Presley said about him,'If James Dean had sung, he'd sound just like Ricky Nelson.' Bob Dylan also often refers in his biographies to the influence Ricky Nelson had on his music, he continues to rave about a'mysterious voice that puts you in a certain mood'; and Kris Kristofferson called Nelson the'Crown Prince of Rock'n'Roll'. Nelson, who started his world rock'n'roll career in 1957 as an actor, signed a 20-year contract with Decca in 1963 to dedicate himself almost exclusively to country music a few years later. 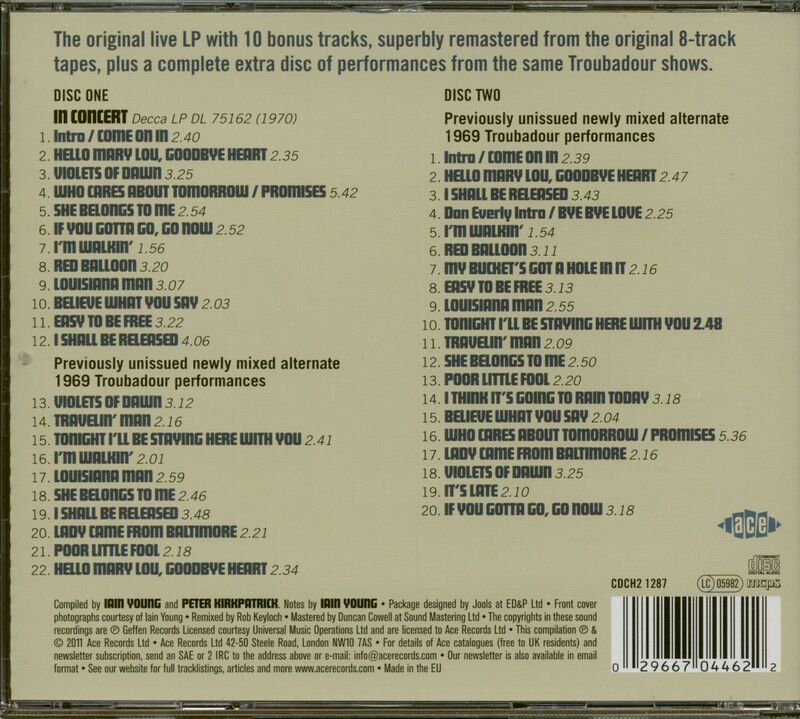 The now completely revised live recording from the'Troubador' 1969 was released in 1970 as 12 track album. Ace finally brings the whole concert on a double CD. A total of 30 bonus tracks made it onto the album, 10 of them in superbly mastered sound from the same evening. Another 20 (!) of further shows in'Troubador'. The Stone Canyon Band around the later Eagle Randy Meisner acted as backing band for the first time. Especially the second CD shows the entertainer qualities of the gifted singer, who died on 31.12.1985. The comments between the songs reflect the intimate atmosphere of the Rick Nelson gigs of those days. A historical portrait of a great singer who later no longer wanted to be a teen rock'n'roller. Ultimately, it all came down to music. 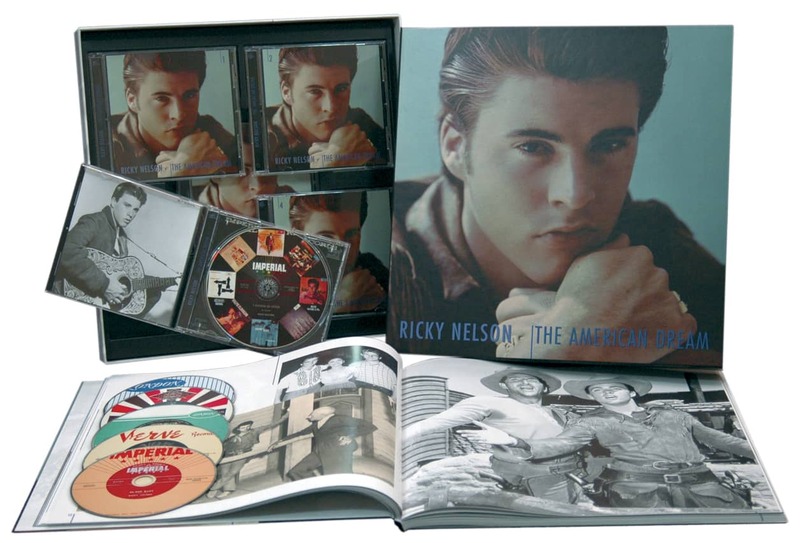 Rick Nelson came of age in the rock 'n' roll era, and was on his way to play rock 'n' roll the night he died. He wasn't quite there at the beginning, not in the sense that Elvis, Bill Haley, or Little Richard were, but, in not quite being present at the creation, he was like millions of kids who understood just how and why rock 'n' roll was theirs. It hadn't been created for them by adults; it was for, by, and about themselves. 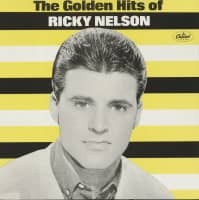 Rick Nelson wasn't in music for recognition; he was one of the most recognizable faces in the country before he made his first record. He wasn't in it for the money, either; the best guess is that he had a half-million dollars stashed in trust accounts before he sang his first note. He simply wanted to sing rock 'n' roll. And if he wasn't quite there at the beginning, he can still lay claim to one innovation: when he sang on the family sitcom, 'The Adventures Of Ozzie And Harriet,' he became the first rock 'n' roll singer to harness music and video on a regular basis. 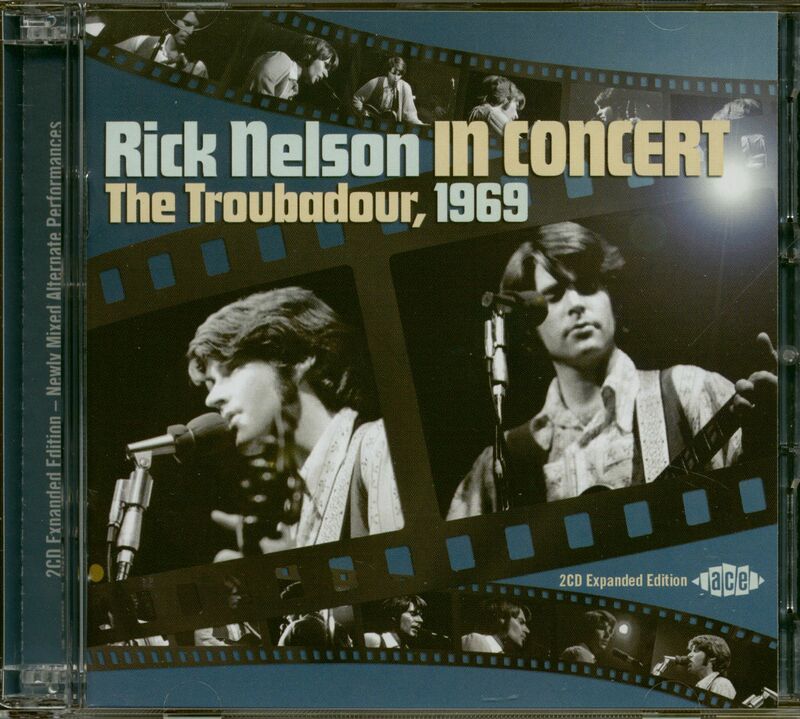 They used to say that too much TV meant too much exposure, but Rick Nelson proved that people would buy what they could get for free, and might even buy more of it. Eric Hilliard 'Rick' Nelson was the younger son of Harriet Hilliard Nelson (born Peggy Lou Snyder) and Oswald 'Ozzie' Nelson. Harriet's father was a director, and she was on-stage when she was six weeks old. Ozzie was already the hitmaking leader of his own dance band when they met on New Year's Eve, 1932. They married in October 1935, the year of Ozzie's biggest hit, And Then Some. Their first son, David, was born on October 24, 1936, and Rick was born in Teaneck, New Jersey on May 8, 1940. One year later, the Nelsons moved to Los Angeles so that Ozzie and Harriet could work on Red Skelton's 'Raleigh Cigarette Program' on NBC radio. When Skelton was drafted in 1944, Ozzie developed the idea of spinning a radio sitcom from his family life. On October 8, 1944, 'The Adventures Of Ozzie And Harriet' made its debut on CBS. David and Rick were written into the scripts from the beginning, and began playing themselves as of February 1949. Recording tape was introduced that year, enabling Ozzie to edit out bloopers and prerecord the shows without interfering with the boys' schooling. In 1952, the sitcom spawned a hit movie, 'Here Come The Nelsons,' which in turn convinced Ozzie that it was time to move to television. 'The Adventures Of Ozzie And Harriet' first aired on ABC-TV on October 3, 1952. The 435th and last episode was filmed on January 1, 1966, and aired that September. Rick was fifteen when rock 'n' roll erupted. He was a fan, while Ozzie's response was that of the quintessential Fifties adult. "Harriet and I were slowly being blasted out of the house by a barrage of twanging guitars, thumping drums, and undistinguishable grunts," he wrote later. Rick loved it all, but he especially loved the spare, echoey primitive Sun Records sound. He would go in many directions over the next thirty years, but would ultimately return to that Sun sound. There's something about the music you hear during a critical, formative period, and the music Rick heard was rockabilly. He bought the Sun hits, and searched out the more obscure Sun records where marginal musicianship, giddy testosterone levels, and Southern nights converged. "My main idol," he said later, "was Carl Perkins. I really idolized him and wanted to sound like him." Everybody knew what a rockabilly singer was: a tough young man (or, occasionally, girl) from a hardscrabble deep-South background. He'd picked cotton as a child, and learned to play a guitar he'd patched together from a cigar box, broomstick and window screen wire. He learned his first songs from black field hands, or perhaps the 'Grand Ole Opry'broadcasts from Nashville. 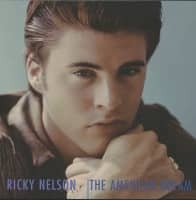 Then there was Ricky Nelson. Born in New Jersey to a veteran show business family, he was a national radio and television star before he first stepped up to a recording studio microphone, at the age of sixteen. Raised in Hollywood, he dated starlets. But there was another side to young Ricky Nelson. He discovered country music on radio and television broadcasts, and the first record he bought was by his favorite singer and great inspiration, Carl Perkins, While he grew up surrounded by jazz musicians -- his father had been a nationally prominent bandleader -- he recorded most of his biggest hits with a band headed by two youngsters from Shreveport, Louisiana. It all came together in a recording and performing career that lasted until his unanticipated death in an airplane crash on the way from one show to another -- ironically emulating many of his predecessors and contemporaries, notably Buddy Holly, Ritchie Valens and J. P. 'The Big Bopper' Richardson. A certain degree of Ricky (later, 'Rick') Nelson's success could be credited to his weekly television exposure. How, then, to explain his nineteen top-40 hits in England? "Over in England," fan Paul McCartney has explained, "we knew nothing about the Nelson [TV] show -- to us, he was the famous one in the family." So how did this unprecedented and unduplicated combination of life and music occur? Elvis Presley was in the Army for a substantial portion of Ricky's Imperial years, but that's not only the sole answer, it isn't even the main answer. Lorrie Collins, of The Collins Kids, ventures that "he was serious, not a flash in the pan like some of the TV stars who made records. Rick had the talent and he had the longing; when you have that, the difference will shine through. And he had the best people in Hollywood back him up." 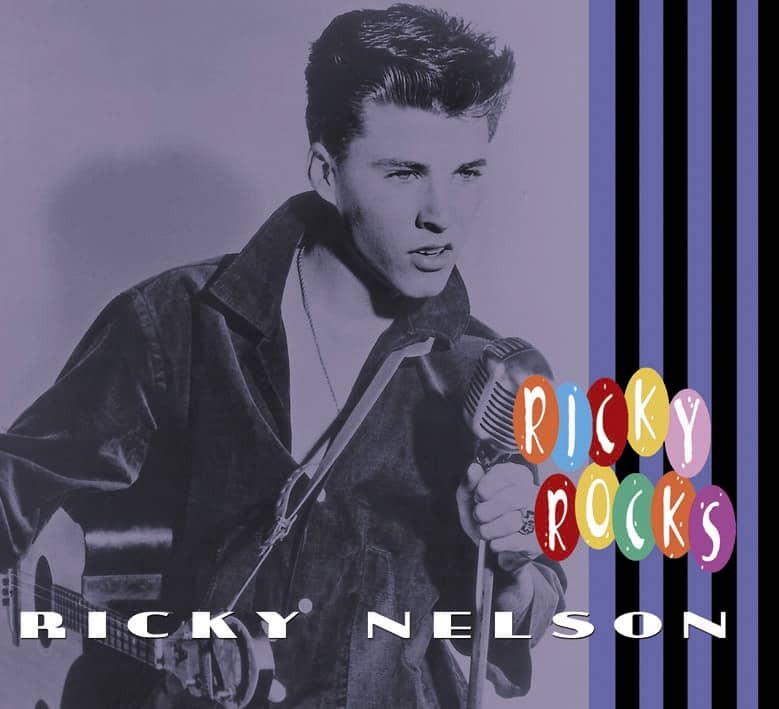 John Fogerty, who claims Nelson as an early influence, says the answer is simple: "Ricky's records had all of the best ingredients...great songs, great singing, great band -- did I say great guitar? "He made some of the best records in rock and roll." Today, when Americans refer to living an 'Ozzie and Harriet' kind of life, they're speaking of a kind of idealized family: happily married mother and father, two reasonably well-behaved children, and no problem that can't be eliminated with little more than a heart-to-heart conversation. It's become kind of a shorthand, a cliché, even among people too young to know who Ozzie and Harriet were. In the 1950s, though, it seemed as though everybody in the United States knew Ozzie and Harriet Nelson, and their teenaged sons David and Ricky. The family could be seen every week for fourteen years in a popular television situation comedy; playing themselves and using their real names. The Nelsons' TV house was a near-accurate reproduction of the family's real-life home, and their next-door neighbor, 'Thorny' Thornberry (played by Don DeFore), was based on the Nelsons' real-life next-door neighbor, a fellow named Thornbury. A popular joke of the day had it that nobody knew what Ozzie -- the TV character -- did for a living. As Ozzie Nelson points out in his autobiography, his seeming joblessness (he seemed to be always around the house, often in search of a dish of tutti-frutti ice cream) was a canard. "...We have always tried to keep the show honest...when we started on radio back in 1944, I was a bandleader both on the show and in real life, and if I were suddenly to become a plumber or an insurance salesman, it would simply not ring true...Our scenes were almost always played as if it were a Saturday or Sunday...I did occasionally go downtown to an office, but I never designated the kind of work that I did because by my not designating a specific job, people were able to identify with me more readily." Anybody who watched regularly would notice that Ozzie -- the character -- had a lot of musician friends, and that there were occasional musical interludes on the program. Oswald George 'Ozzie' Nelson -- the actor -- a graduate of Rutgers University in New Jersey, had led one of the more popular 'sweet' bands of the 1930s and early 1940s, with hits including About A Quarter To Nine, I'll Never Say 'Never Again' Again, At Long Last Love, and (it wasn't a commercial success, but is well-remembered as an example of the dry Nelson wit) I'm Looking For A Guy Who Plays Alto And Baritone And Doubles On A Clarinet And Wears A Size 37 Suit. Well, musicians loved it. An advertising executive, aware of the Nelsons' chemistry as a couple as well as their talent, suggested that the two appear together on radio. There was one condition: he wanted the family (which by then included elder son David, born October 24, 1936) to relocate to Hollywood, where Harriet's film career (two more roles since 'Follow The Fleet') was keeping the couple separated. Ozzie wrote that he wasn't sure that he could support his band on radio salary alone. Record sales weren't terrific, and there were relatively few venues suitable for his band in Los Angeles, but the agency made an offer that persuaded the Nelsons to trek West, with a personal entourage and fourteen musicians in tow. 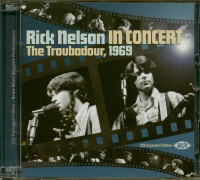 Customer evaluation for "Rick Nelson In Concert - The Troubadour, 1969 (2-CD)"